swimming pool has been built to raise awareness about the threat of sea level rises as a result of global warming. It was constructed by attaching a giant aerial photograph of the New York City skyline to the floor of the pool. Commissioned by: HSBC to promote its £50million project tackling climate change. O&G team used an aerial shot of a city to the base of a swimming pool.The pool gives a shocking view of a city submerged in water. 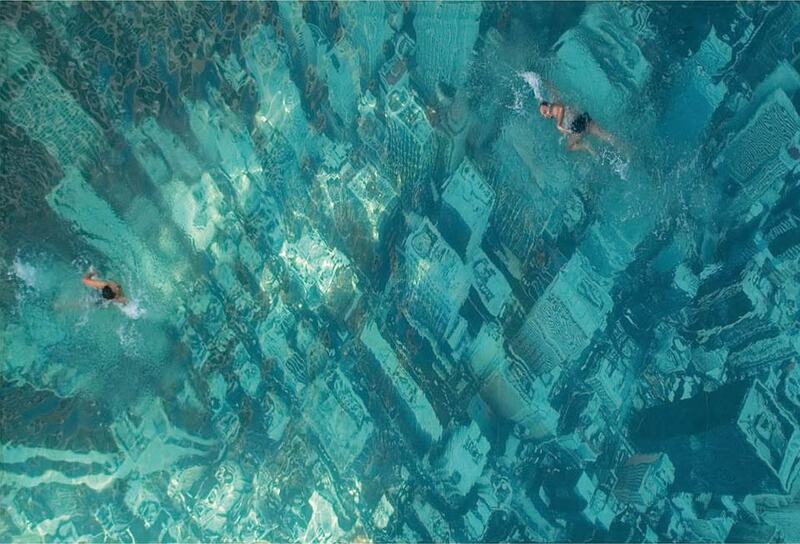 A sunken city view was to drive home the impact of global warming, and how it could destroy our world someday soon. Hi Sudha! I'm so glad you left a comment on my blog that day, so that I could find your great blogs! What an amazing pool, it's both thought provoking and so immensely beautiful. I love that way of proving a point, I'm speechless! Congratulations on writing such a meaningful blog with a real message. Way to go!